The following is a complete archive of all Wayward Wiki pages that were created/updated through 2012 to 2016. Thank you to all that helped out with this project back in the day! This list features very out of date information, even by the free version’s standards. If you are looking for up-to-date information on Wayward Free, I suggest looking at the Wayward Free Documentation page. If you are looking for information on beta 2.0 and above (available via Steam), then there is no resource as of yet, besides Steam Guides, Let’s Plays on YouTube, and the Modding Guide. We are working on new ways to include this in-game instead of needing to rely on external resources. If you ever need additional help, some good places to ask would on our Discord, on the Steam Discussions, or in the forum. Raw Chicken Meat. Be careful eating raw foods. Raw Fishmeat. Be careful eating raw foods. Some items have actions that are activated by double click on them. Hovering over the item with mouse and if you see there “Double click” line, it has it’s action. If you like keyboard more than your mouse, you can use already mentioned hotbar. Rest Used to rest on the ground for a period of time, based on your Camping skill, to regain health and stamina. Projectile Used to throw at enemies or animals you are facing. Success in aim and damage based on Throwing skill. Edible Consumed on use. May provide benefits to hunger, health and stamina (however, may reduce them as well). Carving Used to carve animal corpses or to dig up objects attached to the ground. Place Using this item will place it over top of what ever is already on the ground. Fishing Used over water to attempt to catch fish. Raft Used to travel across water to other islands in your current area. Fire Used to start a fire. This cannot be used on some non-dry tiles. Use on Campfires, Furnaces, Kilns, etc. to start them. Water Used to gather water. Lockpick Used to unlocked, locked chests. Repair Use while facing a damaged item to attempt to repair it. Success based on skill used to make the item. Heal Consumed on use. Used to restore a varied amount of health on you. Travel Used to travel to new, unexplored areas or returning home when treasure quota is filled. Look Used to look one full minimap away from you in the direction facing. Displayed on minimap. Decode Used for attempting to read the map. Use by the treasure location to reveal how far or close you are. Use while facing the exact spot to dig up the treasure. Light Use this item on a fire source to start it on fire. Read Consumed on use. Reading usually provides useful knowledge. Animal Fat is a useful resource found on butchered Giant Rats, Bears and Grey Wolves. It is consumable and be used to make Animal Fat Torches, along with some Poor Fabric and any Pole-Like item. Unlike the other consumable parts of monsters, it does not decay, allowing it to be stored on-person indefinitely. It is not advised to consume Animal Fat unless you are in desperate need of food, due to the health and stamina reductions it gives and the value as a material for producing light. The current armor sets include bark, leather and iron. There also is a bone helmet called the skullcap but it does not have a set. The best offense is a good defense. Surviving combat in Wayward relies heavily on your character’s defense level, and wearing armor is the best way to protect yourself. Remember that armor, like many other crafted items, does deteriorate with use. First tier armor you can get easily by punching couple of trees for branches. It’s far from complete set, but it surely helps to survive first few encounters. In total it gives you 4 points of defense. Once you crack skull of Bear, it’s recommended to make yourself Skullcap to add one more point to defense easily. Second tier armor made from Tanned leather. Once you beat up first couple of monsters with skin (eg. Bear, Giant rat, Greywolf), it’s almost complete set of armor giving you 11 points of defense in total. If you like using shields, you can use Bark one (above). to get one more point to defense. Third tier armor made from Wrought iron simply using Hammer and standing in front of lit Forge and Anvil. It gives you amazing 19 points to defense in total which pretty much suffice for every monster you encounter. If you are feeling confident enough in your Leather armor, you can wait a bit till you find resources to make pure Iron armor which gives you even more defense and most importantly bigger durability. Fourth and last tier (as of current version 1.5) of armor set which is most powerful and durable. It will take some time and a lot of mining before you will be able to find enough of required resources, mainly Talc and Limestone to craft Iron ingot first. Once you have complete set, it gives you 26 points of defense in total which is practically unbeatable against any current enemy. Not exactly any tier and usually good to wear together with first tier Bark armor to get one additional point to defense. However you have to kill and carve some Bear first to get Animal Skull first. Or if you are lucky enough, you can find one just lying around. Unlike other games, bags in this game do not increase the amount of room inventory but rather allow the character to carry more weight. There is no limit to the amount of things in the character can carry in terms of space, but each item has a weight and the character can only hold so much. An angry bear that thinks you look delicious. It hits very hard and has a fairly high health pool. Be careful around them. Aggressive and will attack on sight. Their corpses can be carved to get raw meat by using a sharpened group item. Anywhere on the solid ground during daylight after reaching 4000+ talent points. Does not spawn in caves. Bog monsters are strong creatures which roam the land. Their attacks can poison. Occasionally spread swamp patches on the ground. These leave a tell-tale sign on the minimap. Good source of Peat if you lack some at your location. You can try little running around with him to chase so it creates more swamp tiles which can be dug for Peat. Anywhere on the solid ground during daylight after reaching 8000+ talent points. Does not spawn in caves. It can be created by starting a fire on a tile with grass or a tree. Once the fire dies, there is a 50% chance for one piece of charcoal to be generated on the ground. Additionally, there is a 5% chance to get another piece when digging up the resulting ash tile. Note that open fires such as these spread and can easily get out of control, burning down forests and wooden structures. Dig a firebreak to limit the spread of the fire. Harmless creature, entirely for your benefit. Always runs away from your position but will attack if cornered (for very minimal damage). Drops a 2 feathers upon death: can be carved for raw chicken and an additional 2 feathers. Anywhere on the solid ground during daylight. Does not spawn in caves. When you fight a monster, the amount of damage you deal is equal to (your attack damage – their armor) and damage dealt to you is equal to (enemy attack damage – your armor). It’s important to understand that this relationship is linear because one of the most important parts of combat is to have high amount of armor to survive the fights. I would argue that good armor is way more important than having a good weapon. Once you have a full set of iron armor, only a few monsters will be able to deal 1-2 damage to you. Health – Your HP. Once this reaches 0, you die. Can be increased with improved tactics, parrying, archery, anatomy, woodworking, blacksmithing, and stonecrafting. The most damage that can be done is with a Leather Sling and Iron Bullet for +5 blunt damage. Now that you’ve read all the stats, what should you do first? Cooked Meat is made from Raw Meat using a fire source. If it decays it will turn into Rotten Meat. Cooked Meat Made from Raw Meat. 1 3000 -2 +5 +8 Cookable. As you may have noticed, crafting in Wayward goes a little beyond putting a stick and a rock in a box and taking out a hammer. Crafting recipes, which can be discovered as you find materials throughout the world, often call for specific items and a generalized tool group. For example, “sharpened” might refer to an axe, or just a sharp rock. Most usable items have durability which shows how many uses it has. For tools, one durability is consumed only when something is gathered, not whenever it is used. For weapons, one durability is consumed only when the weapon hits the target, not when the character misses. Weapons generally have about half of the durability of tools, making them ill-advised tools. Legendary items have special buffs that provide a bonus to a certain skill when equippped. A medium strength slime monster. Hostile monster trying to catch the player. While it cannot be carved for meat or leather, it does drop a usable branch upon death. Anywhere on the solid ground during daylight after reaching 16000+ talent points. Does not spawn in caves. Can spawn as guardian to treasure chest. Careful with this one. It can be somewhat hard to beat foe, but it’s loot can be very valuable. Aggressive and will attack on sight. It can set on fire nearby trees or grass. It can move over trees, but not walls or doors. It will not move onto water tiles. Higher value enemy since it drops treasure sometimes so eventually you don’t need treasure maps to win the game. Chase with him around forest and you can get plenty of Charcoal. A large rat. They are weak-average difficulty monsters. They spawn quite frequently right from the start of the game. Can be carved to get raw meat. Anywhere on the solid ground during daylight. Can spawn as guardian to treasure chest and in the cave. Creepy little spider. Are you afraid of spiders ? Drops Spider’s silk which can be used to make String. Carved corpse can be used in the fishing rod recipe and to make lightweight food. Anywhere on the solid ground even during the night and in caves. Can spawn as the guardian to treasure chest. Grass tiles can be dug to gather grass seed and sometimes plant roots (medicinal, rope-like). These wolves are a stark reminder of how dangerous the woods can be. Can be carved for raw meat and leather hide upon death. Anywhere on the solid ground during daylight after reaching 4000+ talent points. Does not spawn in caves. Can spawn as guardian to treasure chest. A dangerous winged foe with high damage output. Be wary! Seems to be mostly present at night, mostly. Sometimes can drop the treasure. Anywhere on the solid ground during daylight after reaching 16000+ talent points. Can spawn as guardian to treasure chest and in caves. Iron ingot is base resource used to craft more powerful and durable tools, weapons and armor than anything else in game. First you need to craft Wrought iron before you can even think about Iron ingot. Then you have to find some Talc, Limestone and a Carbons item and grind them in a Mortal and Pestle to powder form. Finally you need lit Forge and Anvil, Hammer, Sand Cast Flask, Tongs and Carbon Powder. Iron ore is your first metal that you will encounter and it’s starting point to make better tools, weapons and armor. First you need to melt it with Charcoal and create Wrought Iron. After that it can be turned into Iron ingot by melting with Talc and Limestone. Obviously easiest path is by mining in mountains and rocky areas (even at sandstone). You can spot ore visually over tile, so you don’t have to keep mining all rocks around and hoping to get lucky. Once you find one, there is also slight chance (about 33% per direction), there will be others nearby. Other source is from Living Rock monster, but since it is somewhat hard to find and beat up, you have better chance with mining at the beginning. Iron ore can be rarely found simply on the ground too. Items are what a player will spend the vast majority of their time using, crafting, finding, and manipulating in Wayward. Most of the exploration-based elements in the game are derived from collecting various items and combining them using practical and quasi-realistic recipes. For example, a branch can be cut into smaller twigs or stripped of its bark by using a sharp object to do so. Even at these early stages of development, there are over 200 items, each with their own unique uses. Learning how to produce maximum efficacy from these objects is essential if you want to survive through the first night. Many items in Wayward have multiple uses, so it is difficult to properly organize them. There are some, however, that can be specifically categorized, and so multiple tables will be used for easy reference, with the unsorted items at the bottom. Keeping one’s self healthy, energetic, and satiated is vital to staying alive in Wayward: these are represented by the Health, Stamina, and Hunger bars, respectively. Consumable items allow the player to replenish these bars as they deplete. All consumables are considered “edible”. Animal Fat Carved from corpses 0.8 4500 -1 -6 +2 Used to make Animal Fat Torches. Common Mushrooms Harvested from mushroom patch. Dropped by Living Mushroom 0.2 19000 +3 +2 +2 Plantable. Dead Spider Carved from spider corpses 0.3 4800 -1 -2 +2 Cookable. Desalinated Water in Glass Bottle Sea Water in Glass Bottle + Water distillation method of choice(water still only) 2 N/A +2 +15 +1 Returns Glass Bottle on use. Desalinated Water in Waterskin Sea Water in Waterskin + Water distillation method of choice(water still only) or Sea Water in Waterskin + Flask + A Lit Campfire 2 N/A +2 +15 +1 Returns Waterskin on use. Purified Fresh Water in Glass Bottle Unpurified Fresh Water in Glass Bottle + Water distillation method of choice(water still or campfire) 2 N/A +2 +15 +1 Returns Glass Bottle on use. Purified Fresh Water in Waterskin Unpurified Fresh Water in Waterskin + Water distillation method of choice(water still or campfire) 2 N/A +2 +15 +1 Returns Waterskin on use. Raw Chicken Carved from chicken corpses 2 2500 -10 -10 -6 Cookable. Raw Fishsteak Carved from shark corpses 1 2000 +1 +1 +6 Cookable. Raw Meat Carved from various animal corpses 1 3000 -2 +2 +7 Cookable. Raw Trout Dropped by Trout or by catching a Trout 1 3000 +1 +1 +5 Cookable. Red Berries Harvested from berry bushes 0.1 15000 +1 +1 +2 Decays into rotting vegetation. Sea Water in Glass Bottle Glass Bottle + Water from ocean 2 N/A -1 -15 -1 Returns Glass Bottle on use. Can cause minor loss in one or more random stats (though it almost always depletes your thirst in some way). Sea Water in Waterskin Waterskin + Water from ocean 2 N/A -1 -15 -1 Returns Waterskin on use. Can cause minor loss in one or more random stats (though it almost always depletes your thirst in some way). Seaweed Dug up from beached seaweed. Can also be harvested from water (fishing) 0.2 N/A 0 +1 +1 Counts as a rope-like item. Slime Gelatin Carved from Slime corpse 0.5 N/A -1 -1 +2 Slime Gelatin can poison you. Thistle Seeds Dug up from the ground 0.1 N/A +3 0 +1 Plantable. Can be fertilized. Unpurified Fresh Water in Glass Bottle Glass Bottle + Water from stagnant pond or Glass Bottle + Pile of Snow 2 N/A -1 -15 -1 Returns Glass Bottle on use. Can cause poisoning, and/or minor loss in one or more random stats (though it almost always restores your thirst in some way). Crafting this from either snow or fresh water will usually permanently deplete a tile of either fresh water or snow making it a limited resource, so consider this when drinking unpurified water. Unpurified Fresh Water in Waterskin Waterskin + Water from stagnant pond or Waterskin + Pile of Snow 2 N/A -1 -15 -1 Returns Waterskin on use. Can cause poisoning, and/or minor loss in one or more random stats (though it almost always restores your thirst in some way). Crafting this from either snow or fresh water will usually permanently deplete a tile of either fresh water or snow making it a limited resource, so consider this when drinking unpurified water. Wild Onion Dug up from grassland 0.6 15000 +5 +5 +4 Plantable. Can be fertilized. Glue Slime Gelatin (requires Water + Lit Campfire) 0.4 N/A +1 0 0 Reinforces damaged items. Weapons are held in the right or left hand slots. Bone +2 20 Can appear on ground. Zombies can be carved for Bones. 0.5 Bones Can appear as starting item. Poor Hammer +2 15 Rock-like + Pole-like + String 2 Hammer Repair Reduces max Durability by 1/2 on the repaired item. Poor Shovel +2 50 Sharp Rock + x2 Pole-like + String (Tinkering, Intermediate) 2 Digging Can be found in abandoned buildings. Poor Shovel is always included in starting items. Ammo is projectiles used for Slings and Bows. A trap can be built on the ground by either the player or a Hobgoblin. It will damage the player or any monster that steps on it. Tools produce heat, help gather resources, purify water, or help produce other items. Some tools can also be used as weapons. Tools are usable items. They must be in your inventory to use. Bull Boat Travel x8 Pole-like + Tanned Leather + x2 Rope + Boat Paddle N/A 10 With enough treasure used to win game. Grindstone Repair Rock-like + Sandstone 5 1 Success rate dependent on the skill that was used to make the item. Lens Lights Fire Refined Sand + Tongs + Lit Furnace 45 1 Only works outside in daytime. Melted Amber Reinforce Amber + fire source 100 Decay 0.4 Reinforces item by increasing the maximum and minimum durability of the item. Used like Grinding Stone, Hammer, or any other repairing tool. Success rate dependent on the skill that was used to make the item. Raft Raft x2 Rope + x3 Log + Boat Paddle 15 15 Fast travel across water. Spyglass Look Sharpened + x2 Lens + Log + String N/A 2 Looks into the distance on minimap. Sundial Time Smooth Rock + Large Rock + Sharp Rock N/A 2 Used to approximate time of day, and can also be used during night. Can be useful for using time more efficiently. Tattered Map Cartography Found in Message in a Bottle 0.5 Leads to locked Wooden Chest. Glass Bottle N/A N/A Clay Blowpipe + x2 Refined Sand + Limestone Powder + Cork + lit Furnace 0.8 N/A Gathers water and becomes a consumable. Message in a Bottle N/A N/A Found on shores and in locked chests. Dropped by Kraken. 2 N/A Turns into a Glass Bottle on use. Gives either an Old Instructional Scroll, Tattered Map, Pile of Sand, or nothing. Waterskin N/A N/A Needle-like + Tanned Leather + x2 String 1 N/A Gathers water and becomes a consumable. Wooden Chest 50 x3 Log + Sharpened 10 N/A Must be built on ground to be used. Tile items change the base tile when placed. Walls are both protection against monsters as shelter and decorative. Walls are placed on top of tiles. Neither can be placed on deep water, resources, blood, fire, items, and plants. A shovel or sharpened item can be used to remove environmental items such as blood, fire, and plants to place a tile or wall. Wooden Door Original + Wooden Door x3 Logs + Sharpened 15 Toggles on contact with player, allowing controlled passage. Treasure is needed to win the game. The final score is talent points multiplied by treasure. Treasure is removed from inventory when returning after winning. Golden Sword Dropped by imps 3 Sharpened See entry in weapon section. Using reinforce items has an astonishingly powerful effect, likely due to the fact that a golden sword cannot be crafted, and therefore has no skill associated with it. If this effect is used in combination with a repair item’s ability to compromise between maximum and minimum durability, a powerful weapon can be created. These tools must be placed on the ground to use. You must be facing them to use them. To get a lit version of a tool start a fire while facing it. These items do not have a durability. Solar Still Purify Water Sheet of glass + Waterskin 5 Still Used to distill water. Takes longer than stone water still and only works during the day, but distills any type of water without the use of fire or fuel. Stone Water Still Purify Water Large Rock x3 + Sharpened Item + String + Pole-like + Waterskin + Fuel-like 9 Still Used to distill water. Water is considered distilled once the flame underneath it is extinguished, so do not add fuel to the fire. Be careful not to walk into this type of still while lit. Items that only are used as a crafting resource. Animal Skull Carved from Bear corpse 1.5 Carves into a Skullcap. Amber Found on ground 0.5 Can be crafted into Melted Amber. Clay Flakes Raw Clay + Sharpened 0.9 Need to have crafted a campfire and found clay to discover. Old Instructional Scroll Dropped by monsters and found in Message in a Bottle 0.3 Teaches a new crating recipe. Sapling Trees 2.5 Grows into a tree when planted. Angry sea monster, known for thrashing pirate ships. Often has Treasure maps and old recipes in it’s possession. Aggressive, will follow players. Can be blocked with doors/walls. Great source of Bottles and Recipes/Treasure Maps. Drops a Message in a Bottle, great for getting more containers. Much of the landscape in Wayward can be interacted with by the player, or, indeed, was built by the player in the first place. The things in this list are those you walk over, or into, when playing Wayward. If you can dig them up and put them in your inventory then they are also items – and will also be listed on the Item page. Stuff that was there before you got there, and will probably be there long after you’ve gone. Deep Water Waterskin Unpurified water Functionally the same as Water. Clay Shovel Raw Clay Not naturally found on the surface. Clay can be many layers deep. Dig long enough and you may find Sand underneath. Dirt Shovel Soil, Earthworm Dirt can be many layers deep. Is it even possible to dig through it? Gravel Shovel Gravel, Stones, Shale Gravel can be many layers deep. Keep digging and you may find Clay underneath. Sand Shovel A pile of sand Sand is usually a few layers deep. You may find Clay or Shallow Water underneath. Shallow water Shovel A pile of sand You can walk through shallow water, and fish can swim in it (but not sharks). If you dig up enough sand from shallow water it becomes Water. Water Waterskin Unpurified water You have to swim or use a boat/raft in water. Anything thrown into water disappears. You can chop them down or dig them up. Many of them have seeds or can be replanted. Some of them are tasty. Trees leaves, tree bark, branch, twigs Can have tree vines, saplings and rotten vegetation (visible on tile graphic). Not clear whether saplings, etc., continue to generate given time. Limestone is mineral needed to create Iron ingot. Needs to be transformed into Limestone powder using Mortar and Pestle. Obviously easiest path is by mining in mountains and rocky areas (not at sandstone). You can spot ore visually over tile, so you don’t have to keep mining all rocks around and hoping to get lucky. Once you find one, there is also slight chance (about 33% per direction), there will be others nearby. Limestone can be rarely found simply on the ground, but only in newly explored areas. Powder created from Limestone mineral using Mortal and Pestle. It’s required for crafting Iron ingot. A strong rock monster. A renewable source of iron ore. Being an immobile rock, it can’t come after you if you can’t dent its rocky armor. Drops iron ore upon death. Most of the monsters drop some loot once killed. Some have fixed items which is dropped, others can drop item randomly from group of defined items. Same groups are also used for chests you can find and lockpick. Here you can find these groups of items which are referred in list of monsters. Very important skill for the survival since to craft most of the things, you need wood products like branches, barks and logs. Use some tool with attack value at least +4 so you can get 2 resources per turn. Increases chance of resource dropping on trees. Decreases chance of stamina reduction, -1 Stamina on failure. Half of attack number determines max number of items retrieved. There is equal chance to get one of resources in table on successful gathering action. Turns into a Glass Bottle on use. Gives one of the following: Nothing, Pile of Sand, Tattered Map, Old Instructional Scroll. These usually run away from player, but once cornered they try to fight without much effort or chance to survive. Chicken 3-6 1-2 x2 Feather x2 Feather, Raw Chicken Anatomy Land, Shallow Water Randomly drops feathers on ground as they move. Rabbit 3-6 1-2 Raw Meat, Offal, Bones Anatomy Land, Shallow Water Quick and easy meat. Rat 3-4 1-2 Raw Meat Anatomy Land, Shallow Water Another easy source of meat. Trout 3-4 0-1 Fire 99, Blunt 1, Slashing 1 Raw Trout N/A N/A Any Water Spawned by fishing. Can be attacked or caught by fishing items. These don’t care about player much, but once attacked they will fight back and give chase. Living Rock 40-55 5 4-6 Fire 99 Iron ore Large Rock, Sharp Rock Mining Land, Shallow Water, Immobile Valuable source of iron ore, but very tough. Slime 7-15 1 1-3 Slime Gelatin Land, Shallow Water May split into two slimes when hit. Gelatin can be turned into simple glue. These will come after you once they spot you. Hunter becomes the prey. Bear 18-21 +Bleeding 3 5-13 Piercing 3, Blunt 1 x2 Raw Meat, Leather Hide, Animal Fat, Animal Skull, Offal, Bones Anatomy Land, Shallow Water Looks cute. Do not be fooled. Fire Elemental 30-38 5 11-18 Fire 100 Valuable Loot, Pile of Ash Coal, Pile of Ash, Melted Amber Mining Land Can be damaged by pouring water on it. Giant Rat 5-8 +Bleeding 1 2-5 Fire 1 Raw Meat, Leather Hide, Animal Fat, Offal, Bones Anatomy Land, Shallow Water Useful source of leather. Aggressive Giant Rat 14 +Bleeding 6 Palm Leaf Raw Meat, Leather Hide, Animal Fat, Offal, Bones Anatomy Land, Shallow Water Useful source of leather. Hobgoblin 29-32 3 7-13 Common Loot Raw Meat, Offal, Bones Anatomy Land, Shallow Water Can set snares. Imp 28-36 +Bleeding 4 13-16 Fire 99 Red Spotted Mushroom + Valuable Loot Rotten Meat, Bones Anatomy Land, Shallow Water, Flying Doors stop them. Kraken 40-50 3 9-13 Slashing 2 Fire 1 Message in a Bottle Raw Fish Steak x2 Land, Any Water Can spawn naturally or by fishing. Living Mushroom 14-24 2 6-10 Fire 3 Slashing 2 Common Mushrooms Land, Shallow Water Spawns from mushroom patches. Jelly Cube 24-26 2 3-6 Blunt 2, Slashing 2 x2 Slime Gelatin Land, Shallow Water Spawns a Slime when killed. Shark 13-18 +Bleeding 3 5-11 Blunt 1, Fire 99 Raw FishSteak x2, Offal Anatomy Deep Water Can spawn naturally or by fishing. Time Skitter 19-24 +Bleeding 8 12-16 Valuable Loot Raw Meat, Offal Land, Shallow Water, Teleporting Can teleport short distances at random including over walls. Trap Door Spider 4-9 0 2-3 Piercing 1 Dead Spider Anatomy Land, Shallow Water Invisible until you are next to them. Vampire Bat 6-12 +Bleeding 3 2-5 Blunt 1 Fire 3 Raw Meat Anatomy Land, Shallow Water, Flying Doors will stop them. There is a small chance certain monsters will be a mutated or stronger version of themselves. They can be recognized with a different color scheme, when you view them you’ll get “You see x, but something doesn’t look right”. Be careful, as they have a Health and Attack multiplier of 2. Offal is the edible, non meat portions of butchered animals. It cannot be cooked and decays the fastest of all food items. Becomes rotten meat on decay. It’s only use is to be carved into sinew – the primier bow stringing thread. Lots of pirates died in nearby seas and they will haunt you till your demise. Can pass through the walls and obstacles so no hiding behind doors! Can be killed by usual weaponry, nothing special needed. When he is in the wall your attacks will strike the wall instead of the Ghost. Lure him to open space. Being a cave dweller, you probably have a lit torch with you, he’s weak to fire: Use a Bark Torch, Animal Fat Torch, or Pole Torch! Drops High Level Loot which can contain treasure. Can be carved to get Ectoplasm (Decays in quickly), the key ingredient in the Magical Essence recipe. Anywhere on the solid ground during daylight after reaching 32000+ talent points. Can spawn as guardian to treasure chest. The Poor Shovel is used as a digging tool in combination with the Digging skill. With this item you can dig up tiles to gather resources such as A Pile of Sand, Soil, Peat, Clay and A Pile of Gravel depending on the tile you try to dig up. Additional resources may also be dug up with each tile including: An Earthworm, A Fossil, Grass Seeds and more. Digging up a grass tile will result in a dirt tile to be produced. Additionally, you can use the shovel to gather environmental items such as Mushrooms, Flowers, Seaweed and more. If an environmental item is located on the tile being dug up, the digging action will be applied on it before the tile underneath. The success of each action of the shovel depends on the Digging skill, as does any Stamina reduction. In versions before Alpha 1.2, the shovel was referred to as just “Shovel”, without the “poor” modifier and featured a different graphic. It was not craftable at this point in development. A white colored rabbit. Harmless creature, entirely for your benefit. Can be carved for raw meat upon death. Contrary to their giant brethren, these are harmless creatures, entirely for your benefit. Anywhere on the solid ground during daylight. Can spawn in caves. Raw Meat is gathered from Rabbits, Rats, Snakes, Bears, Giant Rats, Grey Wolves, Time Skitters and Vampire Bats. Raw Meat is consumable and can be used to make Cooked Meat, when the player is facing a fire source. Raw Meat Carved from corpses of animals and monsters. 1 3000 -2 +2 +7 Cookable. This page lists user submitted game state saves that were created using the “Save/Load from File” Mod located here. Please share any saves that you believe are interesting or noteworthy. Follow the instructions on the Mods page to install the Save/Load from File Mod. Then download the saved game state of choice and rename the file to a .json file. Then load the file using the mod. Follow the instructions on the Mods page to install the Save/Load from File Mod. Find somewhere to upload your .json file or the text within it (such as pastebin). Then simply edit this wiki page to add an entry to the table in the correct format, and have the name of your entry link to the file. It’s possible to convert old saves by downloading a version of the game 1 version above the save state and loading it in and saving to file after. You can do this over and over until you get up to the current version of the game. Shale can be found when digging up gravel and when mining sandstone. It is a sharp object that can be used to carve. Because gravel can be placed then dug up again you can theoretically get as many shale as you could possibly want. A shark. He wants fish you are looking for. Watch your back. Found surrounding the islands. These monsters have high damage output. Cannot chase you to shallow water. Can be carved for raw fishsteak upon death. Anywhere in the deeper water. Does not spawn in caves. Digging in the ground uses the mining skill. Shovels can also be equipped and used as a weapon or a gathering tool. The animated frame of a human, now wandering to bring death to those who mock its existence. Similar to zombies in terms of difficulty. Drops a bone and random useful item (such as a bark torch) on death: can also be carved for another 2 bones. Spawns only in caves while daylight (probably bug). Each skill can raise up to 100%. Skill gain is controlled by successful use of that individual skill. The chance and amount gained for each skill is dependent on the total current skill value and your current Talent points. If you start training some skill later, it will grow slower than on the start of game. Skills affect many different aspects regarding the action of that skill. Each skill is associated with one stat (Strength, Stamina, Hunger) and when you get raise for skill there is small chance (1:115), to raise that stat too by one point. So if you want to have bigger Strength to carry more stuff, try to chop the trees or mine some rocks. Decreases chance of stamina reduction. Increases chance of resource dropping on rocks. Decreases chance of stamina reduction while mining. Influences quality of cooked items. Increases the amount of turns slept when using a Bedroll. Increases chance of starting a fire. Influences quality and repair rate of crafted items using miscellaneous resources and methods. Increases your base attack value. Increases chance to hit targets in combat. Decreases chance of stamina reduction in combat. Increases your base defense value. Increases chance to take less damage in combat. Increases chance of planting a mushroom. Increases effectiveness of eating mushroom consumables. Increases chance of planting a plant. Increases effectiveness of eating plant-based consumables. Increases speed in water travel. Decreases chance of stamina reduction in water. Increases attack damage and accuracy when using a projectile. Influences quality and repair rate of crafted arrows and bows. Influences quality and repair rate of crafted items using wood. Influences quality and repair rate of crafted items using metal. Influences quality and repair rate of crafted items using stones and rocks. Influences quality and repair rate of crafted items using cloth and material. Influences quality and repair rate of crafted items using leather. Increases chance to successfully catch fish and other water-based objects. Increases attack damage and accuracy when using a bow and arrow. Influences quality of crafted items using chemical mixtures. Influences quality of crafted items using clay. Influences quality and repair rate of crafted items using glass. Increases chance to successfully unlock a chest. Increases chance to successfully read Tattered Maps. Decreases obscurity when reading Tattered Maps. Increases effectiveness of healing consumables. Does not attack unprovoked and does little damage. If killed, there is a chance 1:8 that another Slime will spawn. The Slime Gelatin acquired from this creature can be turned into a simple glue that can be used to reinforce items. Easier than the Bear, but still too much trouble for a bit of meat. It’s neutral, but once attacked, it bites quite badly. Do not provoke it unless you are confident with your combat skills or you need food really badly and nothing else is around. Note: This guide is currently out of date somewhat. It was originally written for beta 1.5; however, a lot of it still applies. More information/strategy is needed for thirst and water procurement. So you have started the game and you’re feeling kind of lost? It’s universal. Don’t take this guide as your sole resource. There is more to be said for more tactics than those described here, but it should help you on your journey. Also this is not “How to make a home in three steps”. It elaborates more about deeper game mechanics that you might enjoy. Ready? Then let’s begin! Note: This guide is made for the current version of beta 1.5 and probably will need to be updated for future releases. Survival is first thing that you care about, but once you establish some base of operation, you can start thinking about what is next. Despite the fact that the game is classified as a sandbox (with a randomly generated world), it can be finished. Currently, there is only one way to win, and that is by collecting at least 5 pieces of treasure and then sailing off using the boat. Your score is calculated, and you can take a screenshot of it and share it with other survivalists to show off. However it’s not the end, because after that you will land on another island with your skills, discovered recipes, and the items you brought with you for another adventure so you can explore other tactics and mechanics without worrying about survival that much. Exactly. Don’t expect any real-time action. Every action you take is one turn and that makes time move forward for everything else. The game remains paused until you make a move. So you can start the fire, but it will burn indefinitely until you move around a bit. Grass will not grow if you just stare at it. You will not get hungrier just by standing around. And of course monsters will not move until you do, but once you do, they move too. This is an important part of tactics that can save you from dying once you meet your first Bear. Note that moving items in your inventory screen or between containers does not move turns forward! So you can get your bow once you encounter an enemy, shoot him, and once he gets close, switch to your melee weapon without worrying about having time for that. On the other hand, crafting does cost turns, so be careful when doing that in combat. If you want to simply wait a turn without doing anything, you can hit the [Spacebar] key. Alternatively, you can hold it to keep passing your turns. I will not elaborate much about the game interface in general, but I will point out some things whose functions aren’t immediately apparent. The game screen is divided into square tiles. Depending on your resolution, you can see more or fewer tiles on the screen. The tiles themselves do not scale with resolution. Your character is always centered as you move around. In lower part of screen, you can see some stats about yourself together with the hotbar and minimap. The upper left corner is used to display game messages. If you want to read something you have missed, simply use Messages button in the lower left menu. i.e. Items window opened by the [Inventory] button. The middle area of the window is dedicated to the list of items you carry around, and these are used to determine what you can craft. Hovering the mouse above each item gives you detailed information about it. You can sort items manually by dragging-and-dropping, you can click the [Sort Inventory] button at the bottom of the window or you can use the [Filter Inventory] box to filter by name. Clicking the button also cycles through sorting criteria so you can sort by name, weight, group, or age of the item; however, it does not continue to sort automatically, so every time you get a new item in the inventory, it’s added at the bottom of the inventory. To drop an unwanted item, you have to use the right mouse button. The item will be dropped on the tile in front of the character. Each tile has a limited amount of items (12) that can be on it. If you are standing in front of a container (like a chest), items will be dropped inside automatically. Containers are limited only by weight (75 for Wooden Chest), not amount of items. Unfortunately, right-clicking doesn’t allow you to move items into portable containers (like a Backpack); you have to drag and drop manually, one by one. For retrieving items from a container, the right mouse button does work. The rest of the inventory window is dedicated to crafting. This contains all of the recipes you have found so far and grows bigger over time. Recipes that can be currently crafted from items you have in your inventory are highlighted. Hovering over recipe also highlights the items in your inventory contained in that recipe. If you are missing one or more ingredients, the recipe is darkened, but you can hover your cursor above it to display the requirements and see what is missing. The missing ingredients are highlighted in red. “Where do I find recipes?” You learn them! Once you have all of the required items in your inventory, the new recipe appears. Sometimes you can learn a recipe just by crafting similar items. Some monsters drop an Old Instructional Scroll that contains one random recipe, although it can also be found in house structures. So if you get stuck and don’t want to peek at the wiki for the recipe, you can try hunting some monsters to get this scroll, or just try crafting similar items. If you have crafted an item once, you will remember its recipe forever. There is no mechanism to forget. Crafting is done one item at a time by left-clicking the item’s icon in the crafting menu. Also, every crafting costs you Stamina, which is calculated from the weight of crafted item (small items under weight of 1.0 are crafted without stamina loss). Be careful not to click too fast, because the list of recipes tends to shift around as some recipes become available or unavailable, so make sure before you click that it’s still the same item you want. On top of the inventory window, you can see a small space for your equipment. Hovering your cursor over the icons shows type of slot. You can equip items by dragging them from your inventory to their respective slots. You have to be precise when placing your equipment. There is no automatic mechanism that places equipment where it belongs. To take something off you can right-click your mouse on its slot. Note that you have two hands, each of which can hold separate equipment. You are right-handed and, as a result, the item in your right hand is damaged before whatever you have in your left hand. In other words, your right hand is usually for weapon and your left hand can carry torch or shield without worrying about destroying them. More on this here. You can drag tools that have double-click functions from the inventory to these slots. For example, the shovel has a “Digging” action that can be performed from the inventory window by double-clicking on the shovel. Drag it to slot 1 and now you can just hit the  key on your keyboard and you will dig. Note that items are moved to the hotbar physically, not just for reference. This does matter especially for crafting, because items from the hotbar are not taken into account for recipes. For example, the hammer has the “Repair” function activated by double click. The hammer can also be used as an equipped weapon. The hammer is also part of some recipes (although not consumed). So, to cover all three situations, you would need three hammers or you would need to move your single hammer around depending on what you want to do. The minimap is displayed in the lower-right corner. It shows area of 38 tiles × 38 tiles with you in the middle. However, don’t expect anything else from this. No moving around, resize or clicking. Also it doesn’t display enemies or any items lying on the ground. Once you craft yourself a Spyglass, you can peek to the distance for another 38 tiles in the direction you are facing. As the game is randomly generated every time you start new one, it’s hard to establish exact tactics because it heavily depends on what you have available. Starting equipment is randomly generated as well, but you can be sure to get one Waterskin; a Leaf Bedroll; a Sharp Rock and 6 – 10 other items from the group like food, more rocks, or valuable String. Do quick run around your starting island. You can find some basic resources just lying on the ground. Usually, you will need to dig them out with a Shovel; just face the tile with it and double-click on the Shovel in your inventory. Some items can be found lying on the ground, and you have to step on the tile to pick them up. Quenching your thirst should be the first priority. Some naturally occurring foodstuffs are good for this. Long term you should be looking into crafting something useful with glass or stone and . It’s important to know that nastier monsters spawn as you get more skilled. So one tactic is to concentrate on building up your fighting skills, and weapons and armor, while trying not to learn much else. Pretty much like a bad public school, really. How to Cut a Tree ? That causes much confusion for most new players because it’s very slow to get something from the tree at the beginning. Keep in mind: you start with a low Lumberjack skill and next-to-nothing attack value, so don’t expect anything useful to fall into your lap right away. After all, we are surviving here! Find a suitable tree (with leaves still on it), face it, and start ramming into it like you want go forward. This is how gathering is done. Overall success is driven by associated skills (Lumberjacking for tree-cutting), which is also increased by using that skill. However, you definitely want to use some tool to protect yourself from injury since you are not some kind of warrior-monk who can split a tree in half with your fist. You would probably expect that for efficient cutting of trees you would need an axe. Normally it would be logical, but here in Wayward it’s not the case. It actually doesn’t really matter what tool you have. You can use simple wooden pole just to remove injury during work. Just place the tool into your right hand slot in equipment panel, and you are good to go. The only thing that really matters is the attack value of your tool. That measures how many items you can eventually get from one gathering action, not the success of the action. Actually you can even use starting Shovel and start bashing tree with it without any trouble. Result will be mostly the same as they would be with your bare hands, only without injury. However, once you have gathered some resources, make yourself a Spear. It has attack value of 4, which means you can get up to 2 items from one hit of the tree. That speeds up things a bit. My Tool is Broken Already? Yeah, it happens in Wayward very often, especially with wooden tools. You can repair things (unless you managed to completely destroy them), but it’s far from permanent solution, especially with low skill. Maximum durability of repaired item will gradually decrease, and eventually it becomes un-repairable. Also, the game mechanics of repairing are not very friendly in the current version. Note that with a higher skill, you can craft more durable versions of basic tools. To repair items, you need an item with the Repair action. This could be a Hammer or a Grindstone, depending on whether you have regular stone or sandstone nearby. Next, you need to drop the almost-broken item on the ground in front of you (right click on the item in inventory window), then use the Repair tool and watch the message box in top left corner closely. With a low skill, you will have to repeat couple of times. Afterwards, you can pick up the item and equip it again. Note: The repair rate will depend on the skill associated with item being repaired. Don’t freak out once you spot monster that is following you. Keep in mind that you are controlling time in the world. You can plan every step you make. You can even run away from most enemies because they sometimes stumble into obstacles, and before they realize it, you are long gone. Don’t worry too much about monsters like Spiders or Rats. They may seem tough, but you have quite a lot of health points and healing is not too complicated. I would probably avoid Bears for the first day. On other hand, if you spot Chickens, Small Rats, or Rabbits, try to hunt them and corner them. These are easy prey to kill and they give you food to aid your survival. I highly recommend that you craft yourself a complete set of Bark Armor as soon as possible to give you basic protection. A Spear is probably the best weapon at the start, which you can easily afford to make. Also, have some spare weapons in your inventory in case the one in your hand brakes. Remember that crafting costs you turns too, so you’d better be ready now than sorry later. Use the time to your advantage and wait for critters to come at you. That way, you can strike first, not the opposite. You can also use Stones and try to throw some at enemy, but don’t expect much with a low Throwing skill. After each successful kill, don’t forget to carve the corpse. You can do that simply with a Sharp Rock or Sharp Glass (made by putting Sand in a lit Campfire). Face the tile with corpse and double-click on a tool with the Carve function; repeat until the corpse disappears. Finally, step on the tile and pick up everything by hitting the [Spacebar] key few times. Some products are obviously useful, but all take further preparation. Stamina measures your energy reservoir, and you can get hurt a bit if you do work while exhausted. It slowly regenerates when you are not performing tiring actions like hitting a tree. It’s regenerated even by walking around or simply standing on the spot and pushing or holding [Spacebar] key. Your stamina increases roughly every 5th turn. To get better faster, you should rest using the Bedroll you got as starting equipment. Simply double-click on it or use it from your hotbar. You will rest for some number of turns, the minimum being 50 turns (300 at night). The number of turns slept increases with the Camping skill and unfortunately cannot be controlled in any way. Once your Camping skill is over 20% you will rest for 500 turns (750 in the night) at maximum. The only thing that can wake you prematurely is some monster drooling on your cheek or health loss (when you are bleeding or hungry). It doesn’t matter if your Stamina is already full, it will not wake you. You might think that for good rest you need to be warm, so you might want to start the fire. The thing is, fire doesn’t boost your sleep result in any way. Fire provides light which is good thing to have for night and you can cook your food on it. But that’s it. So for quick rest during the day, don’t bother with fire as it is not helping in any way. Then you should eat something. Wayward has actually quite big menu of food to offer. You can eat some mushrooms, fungus from the tree, berries, earthworm or dead spider. Of course, these are not yummiest, but it will do when you’re starving. However, once you have killed some critters for meat, it gets better. I highly recommend you to make yourself some fire and cook the meat to make it even more nutritious. You might wonder how to make fire. For starters, you will need Hand Drill or Fire Plough. If you’ve been cutting trees, I am sure you have recipe for one these already. Now you can simply set any Grass tile on fire and burn anything on it (good for garbage) by double-clicking on one of these tools. Or you can set on fire any tree. However, in these cases, be aware that fire can and will spread. To extinguish it you have to pour water on it or if its a fire in grass you can dump sand, gravel or dirt on it. If you want a fire that’s under control, make yourself Campfire. To cook food, simply face the fire and use the crafting recipe that is available for you. If you don’t see any, you don’t have any food that can be cooked. It’s time to find some shelter for the night. Any enclosed area will do, since you will not encounter any enemies that can go over or through obstacles. I recommend you to make yourself wooden door and place them in open spots. Also make sure you have at least two exits. Monsters tend to stand in front of your door and wait till you wake up. Make yourself one or two wooden chests and tidy up your inventory. Now you can lay down on your Bedroll and sleep through the night. Watch your hunger between wake-ups (roughly each 300 turns) and eventually feed your campfire to keep your shelter well lit. If you are feeling adventurous, you can find some cave entrance and spend the night mining. Caves are always dark, so it doesn’t really matter what time it is outside. Sure, some critters can appear, but it should not be too hard. You can always run to the exit for safety. Make yourself a supply of stones and possibly find some Iron Ore, Talc or Limestone. So, you’ve survived this far? Congratulations to you. The easiest part is behind you… Well, there will be some problems, but since you made it through the night, you have already learned basics and you are good to go. For second day, I would highly recommend you to hunt some more critters for food, especially those with hide so you can make Tanned Leather and the next tier armor set. Leather is also useful for making Backpacks so you can carry more stuff with you. You may already have noticed that you are not limited by the size of your inventory, but only by the weight you are carrying. The backpack simply reduces the weight of items inside by 25%. 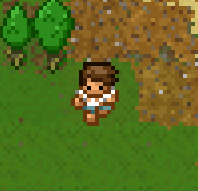 Once you are mildly protected in your Leather armor set, you can do some more exploration of nearby islands. Maybe you will find some map to treasure. 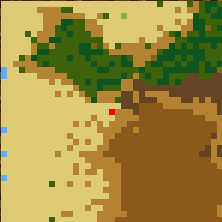 Also, keep in mind that it’s quite easy to get lost since terrain looks quite similar all over the map. Before the voyage I would recommend you to make a Spyglass so you can look into the distance. If you have really bad navigation skills, make yourself some markings in the sand that will tell you direction of your home. Now with everything important said, I’ll leave you and wish you good luck. Get home safely with the biggest treasure you can find! Talc is mineral needed to create Iron ingot and to make various iron items. Needs to be transformed into Talcum Powder using Mortar and Pestle. Talc can be rarely found simply on the ground, but only in newly explored areas. Powder created from Talc mineral using Mortal and Pestle. It’s required for crafting Iron ingot and to create iron tools. Tanned leather is basic material needed to craft various items, mainly armor and portable containers. You only need Tannin which is simply ground Tree Bark in Mortal and Pestle. Time skitters are unique to the Waywardiverse, having no known precedent in other worlds. They are the most dangerous denizen of the lands of wilderness and treasure you visit. Appearance is somewhat like a four legged spider. The time skitter is an extremely dangerous foe: in addition to a monstrous attack strength and high defense, it occasionally move an extra turn. Do not attempt to fight these unless you are well equipped and trained, just run away and let them forget you. Drops random but very useful gear (such as tattered maps or outright treasure). Anywhere on the solid ground during daylight after reaching 32000+ talent points. Does not spawn in caves, but can spawn as guardian to treasure chest. Sneaky little creature which cannot be seen until you stumble upon it. Used just to scare you until you realize what is biting you. Often found in caves and Transylvanian castles, these creatures can be quite the nuisance. Can fly over obstacles. Exclusively during the night and/or in the caves. Tends to despawn on daylight. There are two types of water: Sea water and fresh water. Fresh Water can occur in random inland pools. You can drink fresh water to quench your thirst but it may occasionally poison you. To purify the fresh water, face a heat source (camp fire, furnace, etc) and you’ll be able to use the Purify Fresh Water craft recipe. You can gather a fresh water tile with a liquid container (waterskin or bottle). Doing so will remove the fresh water tile and leave dirt behind. You can dig up a grassy tile next to fresh water to cause the water to expand into the dug tile. Sea water makes up the ocean. You can gather it and drink it directly but it only makes your thirstier! You can desalinate it using a Rock or Solar still. Gathering sea water does not remove the water tile unlike gathering fresh water. So a sea water tile can be gathered from indefinitely without extra steps. You can pour water onto a fire to extinguish it. Sadly this does not seem to work on Fire Elementals. You can pour water onto plants. This raises your botany skill. Unknown whether it can improve the fertility of plants. Wooden poles are a basic, but essential crafting material. They are made from Branches using the Tinkering Skill, while branches in turn are gathered from trees and Enraged Slimes. Their most common use is as a handle in a tool. They make Bows, as well. Wooden poles can also be used as a makeshift weapon or tool, but they don’t last long when used that way. Instead you should use something else to gather the remaining resources to make a tool or weapon. Wrought iron is first metal you will get. You can make it into tools, weapons and armor that are usually more powerful and durable than stone or leather counterparts. Also it can be made into Iron ingot once you have some Talc and Limestone. To craft it you will need Iron ore, be facing a lit Furnace and have a Hammer. An undead horror who roams around, viciously attacking. Zombie attacks can poison. They can do a fair bit of damage and usually have a few friends with them, be wary of getting ganged up on. Drops a bone and a random useful item (such as leather equipment) on death: can also be carved for rotten meat (protip: don’t eat rotten meat).